Due to the excellent hunting opportunities, variety and quality of game species, outstanding hunting professionals, political stability, our well developed infrastructure, and the focus on fair chase ethical hunting, my beautiful motherland, Namibia, is now firmly established as a one of Africa’s most popular trophy hunting destinations. 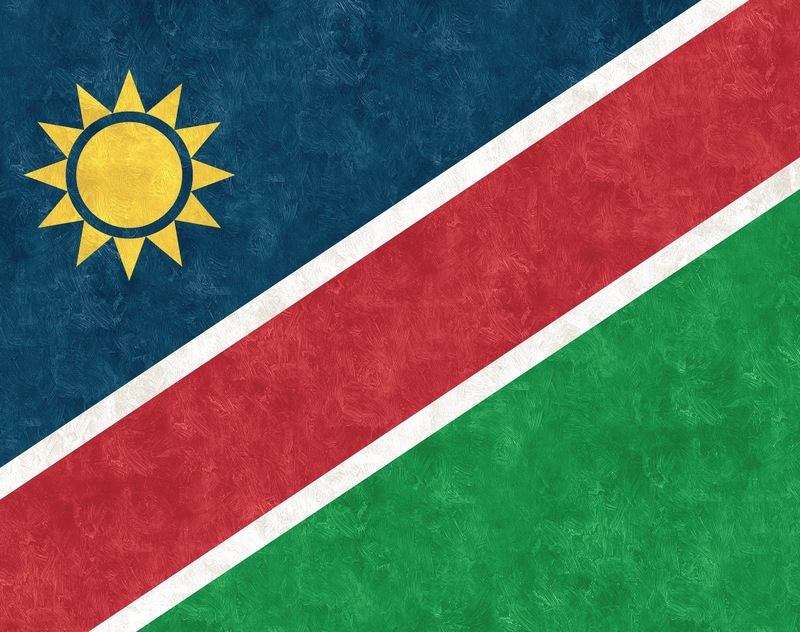 Namibia, previously known as South West Africa, is one of the world’s youngest countries, having achieved her independence on the 21 st March 1990. Namibia is a pro-wildlife utilization country, and our progressive Constitution is the first in the world to enshrine the sustainable utilization of living natural resources. We are a hunter friendly nation with a proud hunting heritage, and our trophy hunting fraternity is well respected by our government and fellow Namibians as an essential and integral part of Namibia’s wildlife conservation, tourism, farming and business sectors. When trophy hunting was first introduced in the late 60’s, game ranching and trophy hunting were totally unknown forms of land utilization in our country. In those days wild animals were seen to be in direct competition with domestic stock for grazing and water, and therefore regarded as a liability for a stock farmer. Farmers soon realized that game indeed had a value, and our wildlife was no longer regarded as a liability, but as an asset. Statistics show that the introduction of trophy hunting was one of the most successful wildlife conservation initiatives in Namibia. Trophy hunting has since developed into an extremely lucrative form of land utilization as well as a most effective wildlife management tool. As a result of this, vast tracts of farmland have been bought up and consolidated, with fences and other infrastructure for stock farming being removed, in order to create an environment ideal for wildlife. This land was converted to game ranches, where wild animals can be hunted sustainably within an ecologically functional system. Although there is still a certain sector of the international hunting community who do not accept trophy hunting within a game fenced area as fair chase, those who have experienced it first hand, and when done properly, understand that hunting these huge wilderness areas, on which game animals are able to exist as naturally interacting individuals of wild sustainable populations, and are located in an area that meets both spatial and temporal requirements – is in keeping with the internationally acceptable guidelines for fair chase, ethical hunting. Namibia offers a variety of hunting opportunities to meet most requirements and budgets, at quality related prices. Farm Hunting is a very popular form of trophy hunting here, especially amongst our trophy hunting clients from Europe. Species offered depend on the area, but are usually limited to common Namibian game species such as Kudu, Gemsbok, Hartebeest, Springbuck, Warthog, Hartmann Zebra, Duiker, Steenbuck, Jackal and Baboon. Cheetah, Leopard and Caracal are often hunted as well. Farm hunting has been developed by stock farmers who wish to diversify their income sources, so hunting usually takes place alongside normal farming activities amongst domestic livestock such as cattle, goats and/or sheep. In recent years, conservancies have been developed in commercial farming areas so that farmers can cooperate on the conservation and sustainable utilization of their combined wildlife resources – this has the added benefit of increasing the hunting area as well as species offered on the farm hunt. Accommodation is very comfortable, either in specially built and well-equipped facilities or the main farm homestead with the landowner’s family – this is the ideal way to get to know the people of Namibia, and be exposed to the unique and charming Namibian lifestyle, cultures and traditions. Your host is usually a Hunting Guide or Master Hunting Guide, and this is the perfect hunt for the budget conscience trophy hunter. 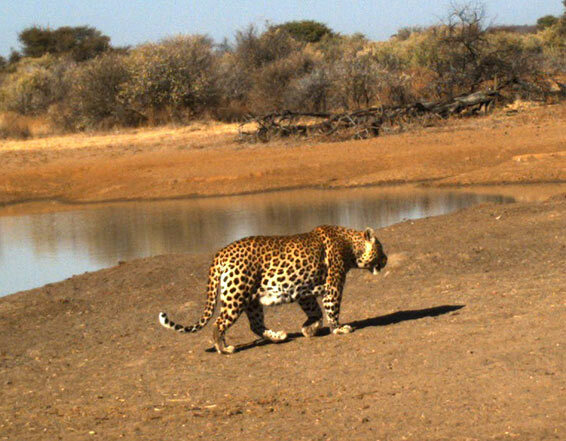 Private Game Ranch hunting, on dedicated wildlife areas, in the form of private game ranches, with no domestic stock or interior fences, is becoming increasingly popular in Namibia. The spectrum of trophies available is very diverse and includes species such as Sable, Blesbuck, Giraffe, Cape Eland, Livingstone Eland, Black Wildebeest, Blue Wildebeest, Waterbuck, Southern Impala, Burchell Zebra, Steenbuck, Duiker, Tsessebe, White Rhino, Roan, Cheetah, Leopard, Caracal and the endemic species including Damara Dik-Dik, Black-Faced Impala, Mountain Zebra (Hartmann), as well as all the common species. 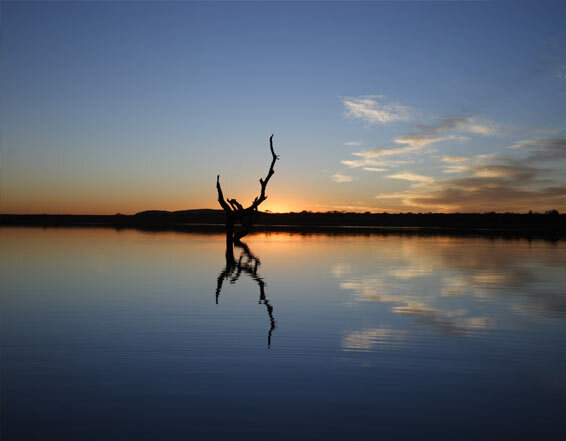 Accommodation is usually in luxurious lodges or tented camps, and the facilities, service and cuisine is of a world-class standard with a distinctly Namibian flair, with the emphasis on the classic African safari experience. Prices range from moderate to expensive, and are quality related. Communal Conservancies: Namibia has 50 registered Communal Conservancies, covering approximately 120 000 square kilometres, or 14 % of our country. These hunting concessions are in tribal areas where, until recently, communities often found themselves in direct conflict with wildlife for the natural resources. Trophy hunting, both as a wildlife management tool as well as a commercial industry, holds great advantages for communal conservancies where it is now firmly established as the primary source of income for these often marginalized and remote communities, where Namibian Professional Hunters have entered into contracts with the tribal authorities. 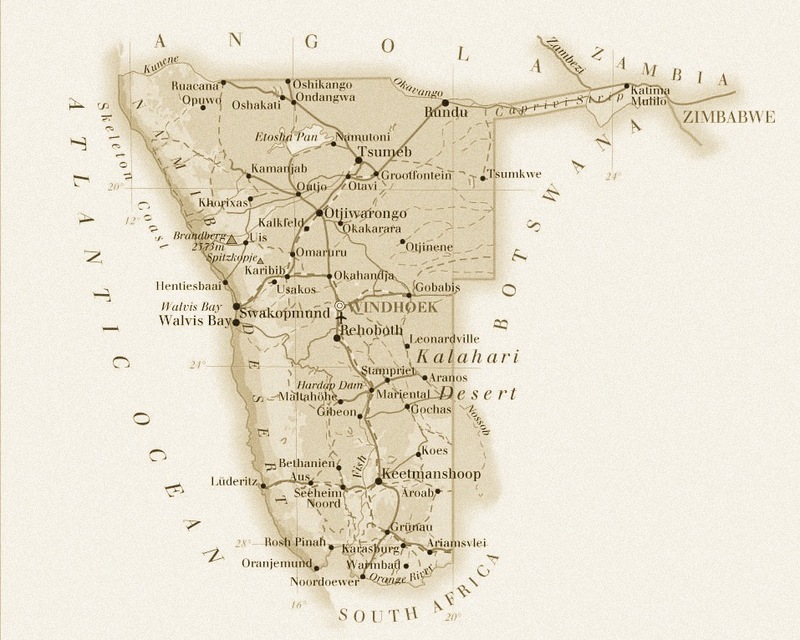 Most hunting for the Big Five takes place in these areas, which have produced some of the largest elephant taken on our continent during the past decade. This is the ideal hunt for the adventurous trophy hunter who wants to experience €˜old Africa’ in rugged, remote, very sparcely populated areas. Big Game Concessions on State-owned Land: The Namibian government recently adopted a new policy to regulate the granting of tourism and trophy hunting concessions on State land, which includes game parks, protected and communal areas. This policy was developed to serve as the basis of new legal provisions concerning concessions that are to become part of the future Parks and Wildlife Management Bill. The new policy lays down clear objectives and principles for the granting of concessions, including empowerment objectives for the communities living in these areas. At printing deadline no further information on the much anticipated Big Game Hunting Concessions on state land was available. Namibia presently has various categories of Hunting Professionals, and our country’s standard of training as well as qualification criteria are well respected internationally. All categories must pass the Namibian hunting theoretical and practical examinations set by the Ministry of Environment and Tourism (MET). The entry level is that of Hunting Guide, who is licensed to guide hunts on his/her own farm, or the farm where he is employed, as well as the conservancy where the land is registered. A Master Hunting Guide may hunt on an additional 2 farms where hunting rights are registered in his name. A Namibian registered Professional Hunter (PH), unless he/she is the owner of a safari company, is required to do a 2 year apprenticeship with a registered PH before tackling the notoriously difficult theoretical and practical examinations. A Namibian PH may hunt anywhere in Namibia with the permission of the land owner. A Big Game Professional Hunter (Dangerous Game), in addition to the above, is also licensed to hunt lion, buffalo, elephant, crocodile and rhino. This category of Hunting Professional must first qualify as a Professional Hunter before gaining the required experience hunting €˜dangerous game’, and then passing the relevant examinations. Any of the above Hunting Professionals may also qualify as a Bow Hunting Guide by attending a specialized course and passing the relevant theoretical and practical examinations. All Namibia Hunting Professionals are required to hold current MET registration certificates, be registered the Namibian Tourism Board (NTB), as well as to upgrade their First Aid training biennially. A word of warning – protect yourself and your investment by making sure that your Hunting Professional complies with the above requirements for hunting in Namibia. Should your operator not be registered, not only are you breaking the Namibian law by hunting with him, and could possibly be faced with the legal consequences thereof, but you will not be allowed to export your trophies legally from Namibia. If you are unsure, please check your operator’s status with the Namibian Professional Hunting Association – NAPHA at napha@mweb.com.na , website: www.napha.com.na or Tel. (++ 264 61) 234455) or the Namibian Tourism Board – NTB at info@namibiatourism.com.na or Tel. (++ 264 61) 2906000. The Namibia Professional Hunting Association, NAPHA, is one of the most active and respected organizations of its kind in the world. The Namibian MET works in close cooperation with NAPHA on hunting related policies. NAPHA members are expected to adhere to a very strict code of hunting and business ethics. Our hunting association has excellent mechanisms in place, such as a Disciplinary Committee and Ombudsman, to whom hunting clients can turn for assistance and advice in the event of a dispute or unsatisfactory service. It is therefore advisable to make sure that your PH is registered with NAPHA. NAPHA has a very active Education Committee which presents a number of training workshops annually for Hunting Assistants (Skinners and Trackers) as well as Camp Attendants, in order to upgrade job related skills. This ensures that clients receive quality service across the board when hunting with NAPHA registered operators. NAPHA also has an active Social Upliftment Committee which provides books, school equipment and many other essential items to schools throughout Namibia. Please be sure to ask you Hunting Professional about the NAPHA hunting medal system – not only will you be rewarded for the trophies that you take, but also be in the position to make a worthwhile contribution towards the NAPHA Social Upliftment programmes as well as the other worthwhile hunting related initiatives. The Namibian trophy hunting season is from the 1 st February to the 30 th November. Namibian hunting legislation dictates that a Hunting Professional may hunt with only 2 clients at any time, and must be present at all times during the actual hunt. Trophy Hunting clients may only be accommodated in NTB approved and registered establishments. Hunting may commence half an hour before sunrise, and must end half an hour after sunset. It is illegal to hunt at night and/or with artificial light. Further rules and guidelines are available on the NAPHA website. You will encounter no problems when importing or hunting with your own rifle in Namibia. Customs require no special permits beforehand. You may, however, be required to show proof that you have booked a trophy hunt with a Namibian registered operator, so do have a hunting contract or other proof of booking available. The Namibian Police will issue you with a Temporary Weapons Importation Permit at the airport, or other point of entry into our country. Please take good care of this document, as it is essential for the export of your rifle on departure day. Although there is no limit on the number of rifles that you may import into Namibia for trophy hunting purposes, a maximum of 100 rounds of ammunition per hunting rifle, for the specific calibre only, may be imported. Local regulations prohibit the importation of handguns, automatic and semi-automatic rifles . Namibian PHs generally recommend hunting rifles of calibres 300 Win Mag and upwards, with soft nosed projectile with weights from 180 grains for plains game. Legislation specifies exactly what Joule strength calibres should be used for the various categories of game. Solid ammunition may only be used on thick-skinned game like Elephant, Buffalo and Rhino. Telescopic sights with a four to six times magnification are recommended. Bow energy is specified as: Small Game -25 ft/lb, Medium Game-40 ft/lb and Large Game -65 ft/lb. As far as I am concerned, one of the most appealing aspects of hunting in Namibia is that you will, inevitably, hunt with a true Namibian – a Hunting Professional whose heart and soul are Namibian, and who is dedicated to our country, our people and our environment. The Namibian trophy hunting industry is grateful to you, our international trophy hunting client, for your investment in our proud new nation, as well as the future of our wildlife, through your safari. We look forward to welcoming you to our beautiful country soon. 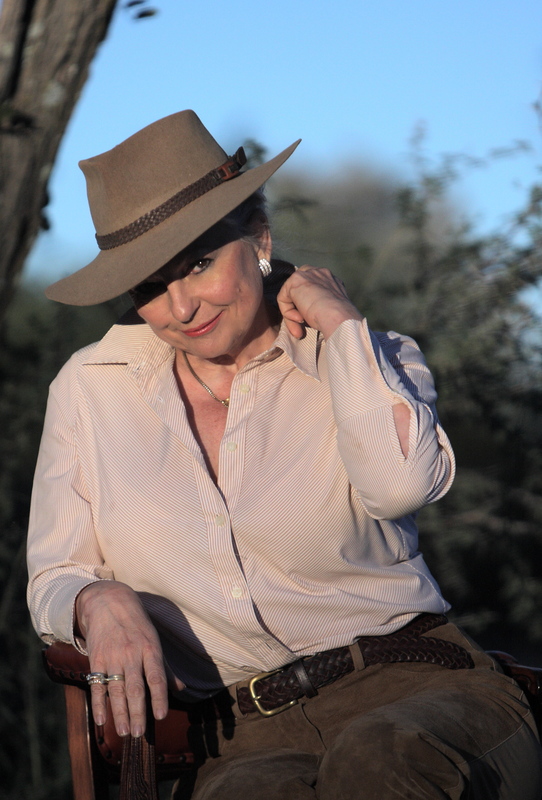 Marina Lamprecht has been involved in the Namibian trophy hunting industry for almost 30 years. She currently serves as Vice-President of the Namibian Professional Hunting Association, and was chairperson of the NAPHA Education committee for 10 years. Marina was honoured by being invited by the Namibian Chamber of Commerce and Industry, as one of the only three representatives of the private sector, to speak on behalf of the Namibian trophy hunting and farming industries at the retirement banquet for the Founding President of Namibia, HE Sam Nujoma. Marina, her husband and son, Professional Hunters Joof and Jofie Lamprecht, own and personally run Namibia’s premier safari company, Hunters Namibia Safaris, which is based on the family’s private wildlife paradise in the Camelthorn Kalahari, one hour East of Windhoek.